Allen Kelsey Grammer is an American actor, voice actor, comedian, producer, director, writer, singer and activist. 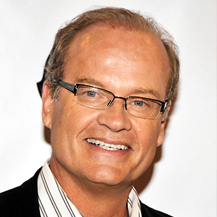 Grammer is known for his two-decade portrayal of psychiatrist Dr. Frasier Crane on the sitcoms Cheers and Frasier. He has won multiple Emmy Awards and Golden Globes.